I am always writing about how well themed each area of the Magic Kingdom is. 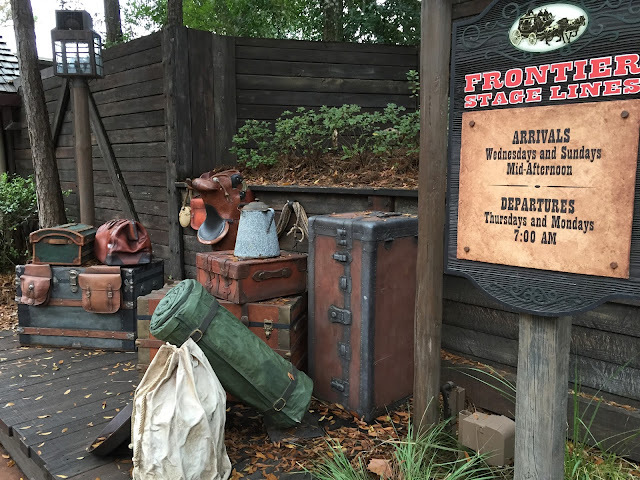 Some of the best can be found in Frontierland. I found myself in the exit area of Splash Mountain early this morning. For most of the day, this particular area is where Woody and Jessie meet with guests. However, I was there before they came out today. It was fun to get a good look at the details of this stagecoach station. 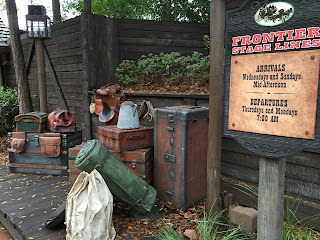 It is complete with luggage and supplies on a loading platform, along with the "Frontier Stage Lines" schedule printed on an adjacent sign.